Cyprus President Nicos Anastasiades (lead images, left) has come under intense political and personal pressure to agree to terms of settlement for the future of Cyprus, swapping Turkish military occupation for European Union rights for all Turkish immigrants to the island — the former to be implemented over years; the latter to become effective immediately. The sensitivity of that deal, Cypriot, Greek and US sources said this week, is such a political bombshell for Anastasiades seeking re-election in a year’s time that he wouldn’t be risking detonation, if not for a personal vulnerability he is facing at the same time. Two New York Supreme Court releases this month reveal that emails between Nicos Anastasiades’s family law firm and a wealthy Russian client, Leonid Lebedev (left lead, right side), were withheld when Anastasiades’s partner, Theofanis (Theophanis) Philippou, testified in a Cyprus court recently. Philippou has been one of Lebedev’s personal lawyers in Cyprus, and he has made official records of this. Anastasiades was also Lebedev’s adviser at the law firm and at the Imperium group of companies, which Philippou and Anastasiades operated to manage their clients’ corporate business, personal trusts, and cashflow. Their relationships with Lebedev predate Anastasiades becoming president of Cyprus in February 2013. It is that record which Philippou was ordered by the New York and Cyprus courts to produce. It is their sensitivity for the president now that has led to a cover-up. Anastasiades has been vulnerable to disclosure of his involvement with Lebedev because Lebedev is accused in Russia of looting more than $200 million from a regional electricity utility; transferring the funds to Cyprus companies; and then converting part of the cash to his personal trust accounts in New York. The Anastasiades firm has been directly involved in the Cyprus companies, the Lebedev trust, the New York bank accounts, and in litigation of other civil claims against Lebedev and his companies allegedly for stealing $180 million from Commerzbank of Germany. That is a chain of money-laundering, if the Russian courts convict Lebedev of crimes. They have yet to do that. For background, read this. Professing his innocence, Lebedev has sought refuge in the US, where he has negotiated with State Department and other US officials for safe haven. He has also divulged what he knows about Anastasiades to the US officials. Anastasiades, Philippou (right) and the two Anastasiades daughters who also run the law firm in their father’s absence, are aware of the potential legal implications for them in the US. Lebedev has also been conducting a lawsuit of his own in New York Supreme Court, claiming $2 billion from two of the former shareholders in the big Russian oil company TNK – Victor Vekselberg and Len Blavatnik. They say they paid Lebedev $600 million for his TNK shares to two companies, Coral Petreoklum and Agragorn, between 2003 and 2006, and owe him nothing more. Lebedev claims he never received their money. The truth to be decided by New York Supreme Court Judge Saliann Scarpulla depends on documents, including emails, exchanged between Lebedev and the Cyprus lawyers. Anastasiades has the key to the files confirming Lebedev’s alleged control of Coral Petroleum and Agragorn. He can make, or break, Lebedev’s bid for the $2 billion. But Lebedev has the key to files which threaten Anastasiades with a US investigation of money-laundering. As a reminder, Lebedev flew secretly to Cyprus last May; local press reported his contact with Anastasiades. For fresh emphasis, Lebedev flew to Cyprus in November to attend the court-ordered interrogations of Philippou and his employee, Viktoria Henkelmann. A source at the court (pictured below left) described Lebedev attracting attention by riding up to the courthouse in a conspicuous limousine. A Cyprus airport source confirms Lebedev stayed on the island until he flew out on December 12. To qualify for Cyprus citizenship in 2011 Lebedev bought a home in Limassol (right); his application for citizenship was managed by the Anastasiades law firm, though Philippou later testified in court that the home, passport and other Lebedev assets in Cyprus did not exist. In the context of Anastasiades’ role in negotiating for Cyprus with Victoria Nuland, the former US Assistant Secretary of State, the Lebedev case materials have been widely reported as the “Nuland blackmail”. Anastasiades has responded to these reports by saying through a spokesman that all questions relating to the law firm should be answered by it. Nuland’s spokesman at State refused to clarify the circumstances in which State has granted US residency to Lebedev, and what it knows of his relationship with Anastasiades. Judge Tsivitanidou gave Philippou a deadline of November 7 to produce the documents, and an order to appear in person for questioning in the courthouse on November 21, 22, and 23. Henkelmann was ordered to appear on December 5-7. 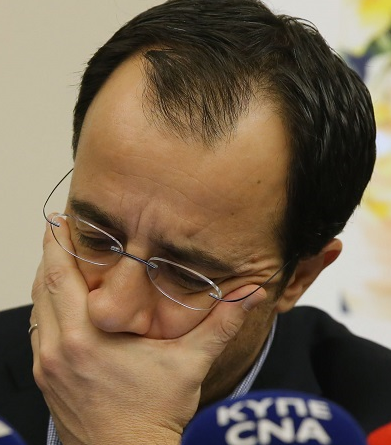 Cyprus sources at the law firm, as well as at the Limassol court, and a professional acquaintance of Henkelmann’s husband, a Cypriot lawyer, have provided details of the attempt Philippou made to avoid being questioned himself, and to prevent the release of the Lebedev documents. Henkelmann no longer works for Philippou, though he and she are both still directors of Coral Petroleum, which is registered in Ireland. Philippou met Henkelmann at a Swiss spa, claims a source who knows them both. “He was impressed by her Russian and offered her a job at his firm. She was born in East Germany.” The interrogations of Philippou in November and Henkelmann last month were conducted by lawyers from New York and Cyprus behind closed doors. A source close to Philippou acknowledges he tried to avoid being served with the summons at his office, but he was eventually served at his home. Philippou and the Anastasiades law firm refuse to respond to telephone and email requests for their response to the allegations in the case. Lawyers in New York refuse to respond also. Limassol court functionaries who witnessed the proceedings claim Philippou said he knew nothing because as a busy lawyer he was daily required to sign a large stack of papers, marked with yellow sign pointers which he followed, without reading. Philippou said Henkelmann was in charge of the Coral Petroleum file. Henkelmann, it has already been revealed in a Dublin court proceeding, had attempted to get (and pay) an Irish director of Coral Petroleum to testify that Lebedev was unconnected to Coral Petroleum. In the Cyprus court last month, Henkelmann claimed she didn’t know herself. By claiming client privilege for the Anastasiades emails and law firm documents, Philippou is confirming that Lebedev was, and remains, a client. If the New York judge concludes he is concealing everything else, she may dismiss Lebedev’s claim. Until she does that – no trial is likely until late this year or early in 2018 – Anastasiades can conclude the case by encouraging the Cyprus Attorney-General, Costas Clerides, who has also been investigating Lebedev’s business on the island, to compel disclosure. Clerides would require a Russian or US application for investigation of a crime. Eide (lead image and below) is a former Norwegian defence minister who has been ambitious for advancement at NATO now run by his Norwegian patron, Jens Stoltenberg (below, left). Supporters of Anastasiades in the Cyprus press have attacked Kotzias for creating stumbling blocks to the agreement terms Anastasiades has assured his supporters that he, Eide, US and British officials are ready to make. Anastasiades has also encouraged his backers to attack Russia for the same thing. On Sunday of this week, Kotzias publicly revealed detailed proposals for acceptance by Anastasiades and the Turks. Kotzias is leaving no room for them to avoid responsibility for their terms, or for accountability to the Cypriot electorate which must approve whatever terms are agreed in a referendum. There remain significant negotiating differences between the Turkish Cypriots and the Ankara administration of President Recep Tayyip Erdogan. For a detailed analysis by Nikos Mondouros, read this. Turkey’s power structures are “falling apart”, Mondouros says, both in northern Cyprus, and also in Turkey itself. The Turkish Cypriots want to escape from the control imposed on them by Ankara and by the Turkish military, so a settlement with the Greek Cypriots is an opportunity. For Erdogan (below, left), however, polarizing the situation is a tactic design to smoke out his adversaries before he liquidates them. A Cyprus settlement is not so much a priority for him as an opportunity to exploit. The Kremlin is in an awkward position, too, according to Russian and Greek intelligence assessments. Publicly, Foreign Ministry spokesman Maria Zakharova (above, right) has countered the propaganda of the Anastasiades press. At the same time, it is Russian strategy to deter NATO expansion through the British bases on Cyprus, and through future troop deployments in the north. She issued a fresh order for document search and disclosure on January 20. The next day he got his spokesman, Nicos Christodoulides (right), to open the backdoor to a different outcome. “Political equality, effective participation in the federal government, effective deadlock-resolving mechanisms, the guarantee of all the rights enjoyed under the EU treaties,” the spokesman wrote in the Greek press, “are some of the provisions that will sufficiently safeguard the security of united Cyprus. These are parameters that render the maintenance of the 1960 system of guarantees obsolete.” When Christodouldies says “all EU treaty rights”, Anastasiades means to offer Erdogan a swap of his troops in exchange for EU access for as many Turks as he can despatch through the island.